Fleas can be a real issue and things can go out of hand before you wake up to the realization that your entire household is infested. 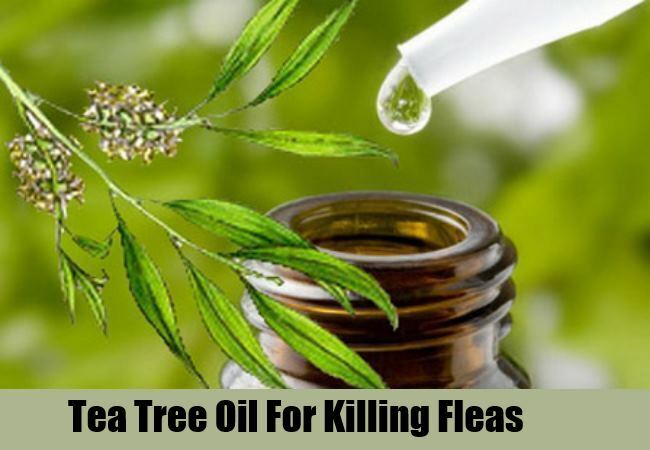 Fleas are much more prevalent among households that have pets and in such cases, regular home remedies have to be imparted to keep away from severe infestation that can be very tough to deal with. 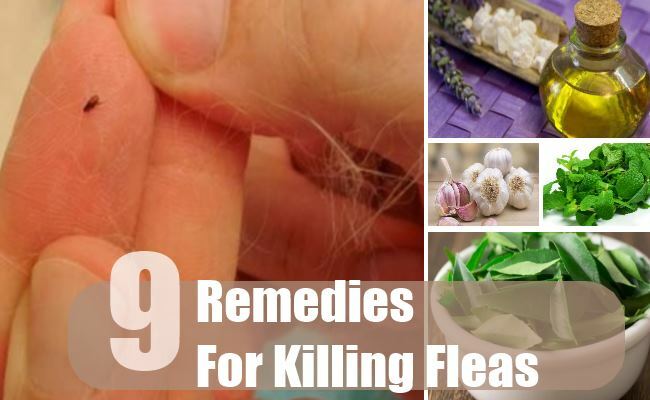 Instead of always depending on pest control services that can be expensive and time consuming, here are some home remedies that can be administered as soon as you see fleas on your pets and also to tackle the first signs of infestation. Eucalyptus is an essential oil that is generally used for treating respiratory ailments. It has a strong smell and high potency, which can kill fleas in your house. Take one cup of warm water and add a few drops of eucalyptus to this. Transfer the contents to a spray bottle and spray in areas of flea infestation including areas where your pet resides and hangs out. 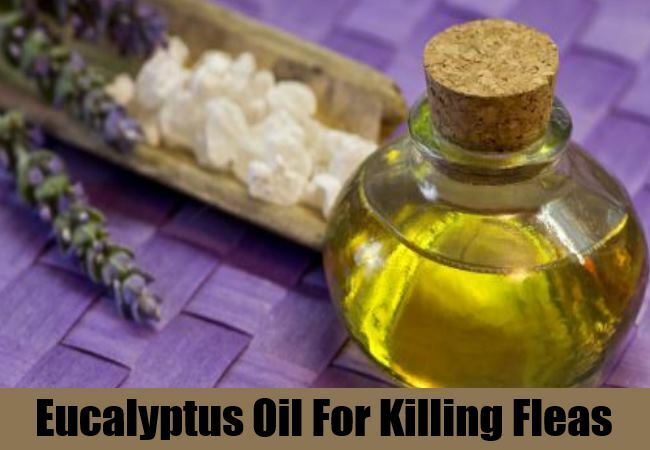 This is an effective flea repellant as the strong smell of eucalyptus can be very distressing for the fleas and discourage them from invading areas where the essential oil is sprayed. You might have to continue spraying the area for several weeks before complete destruction is attained. 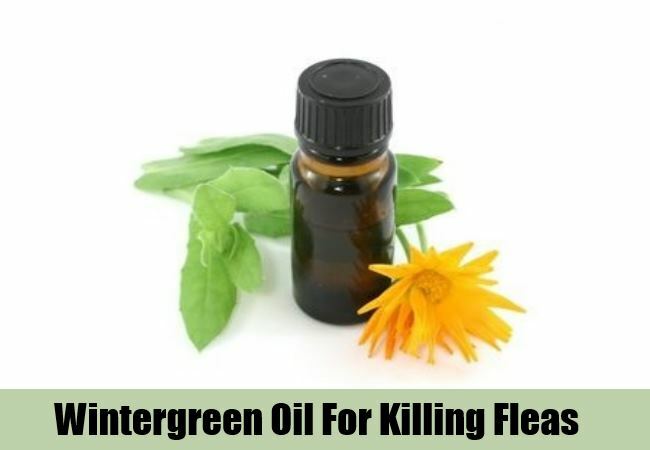 Wintergreen is another strong smelling oil that can be imparted for killing fleas. Just like eucalyptus, a few drops can be added to a spray bottle full of warm water and sprayed in infested areas. A stronger remedy would be to mix wintergreen and eucalyptus along with a cup of water and use it for flea eradication. This is known to give excellent results than when these oils are used separately. Again, it take several weeks for complete removal of fleas and during the treatment process, it helps if the pet is kept away from areas where the oil is sprayed and is confined only to a limited space to prevent further spreading. The herb has an offensive smell and even insects are put off by the aroma of garlic that makes it an excellent flea repelling solution. As garlic can smell if applied on the upholstery, you can make a diluted version by adding one cup of water to a few crushed cloves of garlic. Add a scented essential oil like lavender essential oil to reduce the unpleasant smell and spray in areas where your pet resides and also on your pet’s fur. 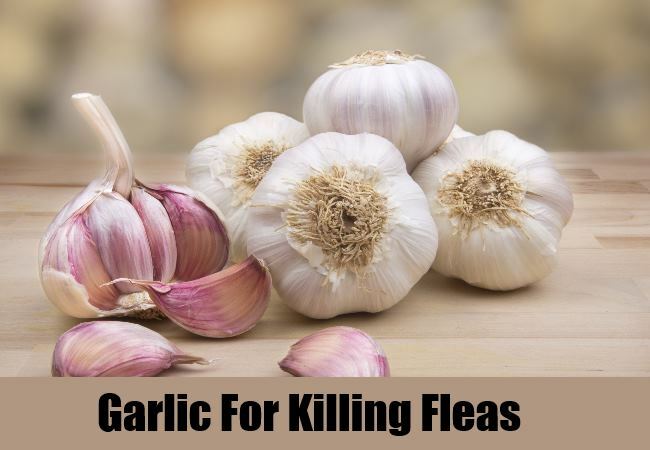 Garlic can be included in plenty in your diet as well as your pet’s to heighten its flea repelling action in your house. Continue application for 3-4 weeks until all the fleas are removed from the household and surrounding area. 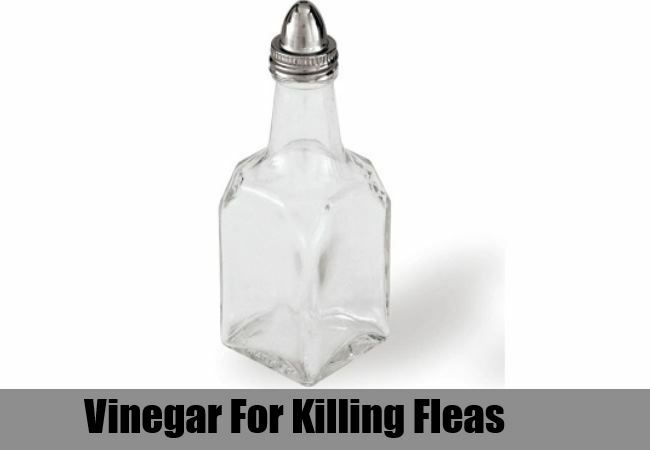 Vinegar can be sprayed on the surroundings and interiors of your house for repelling the fleas. It might have a strong smell that could be repulsive, but it is a very acidic and strong solution that can repel the fleas as well. Giving a vinegar soak to your pet will prevent further fleas infestation on the fur. Apart from white vinegar, apple cider vinegar too can be used for this purpose. Spray undiluted vinegar and apple cider vinegar on the surrounding areas and use four tablespoons of apple cider vinegar in one gallon of water for giving a soak to your pet. This water can also be used for soaking your body for relief from flea infestation and itching and also for healing the wounds and scratches. Cedar wood is known to have a repelling effect on the fleas. 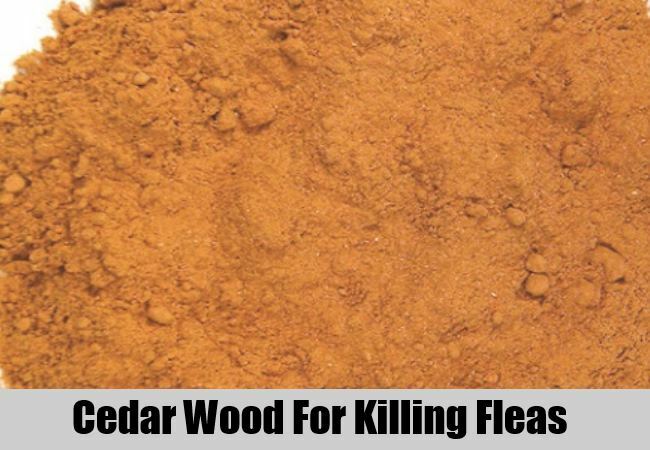 Cedar wood chips can be spread along the side of your pet’s house to keep away from flea infestation. Sprinkling cedar wood powder or chips of planting the tree is an effective way to keep away from fleas. 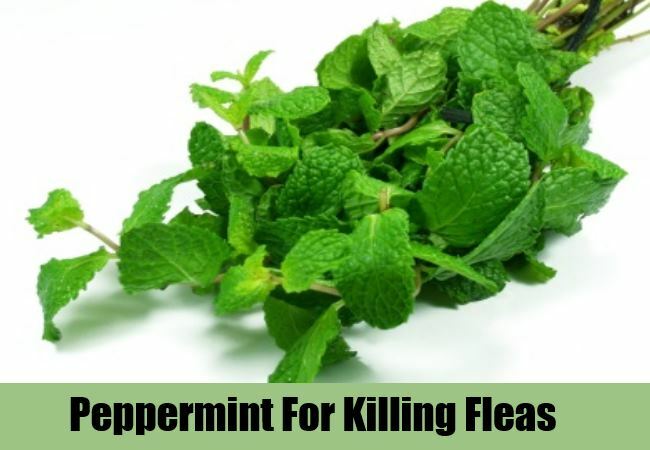 Peppermint has a strong smell and this too is quite effective in banishing the fleas. Diluted with water, this is a great spray for your household and surrounding areas. This can also be applied on your skin for keeping the fleas at bay. This bitter plant is known to be one of the most effective treatments for flea infestation. 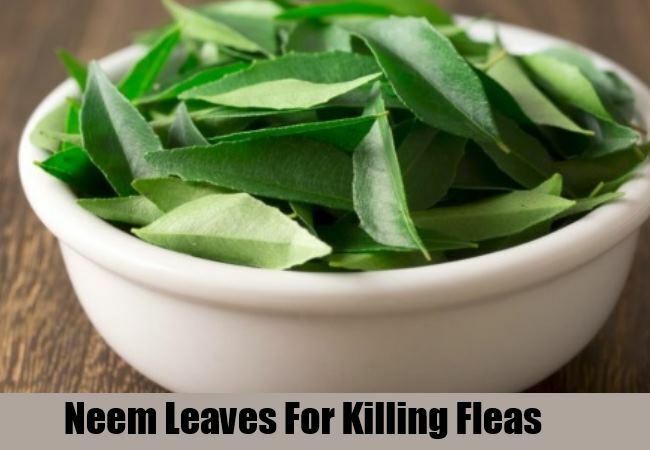 Take neem leaves and crush them gently. Spread in areas of infestation, upholstery and inside your pet’s house. Use water that is boiled along with neem leaves for soaking your body and also for spraying and rinsing your pet’s body. Neem has a strong and bitter smell and taste and is also anti parasitic and antibacterial in nature. Neem oil or neem lotion can be used for application on the pet’s body and also for applying on your body after diluting it adequately with water of you have sensitive skin. Tea tree oil is an insect repellant of sorts due to its strong smell. It also treats infections and wounds on yours as well as your pet’s skin when affected with fleas. Dilute with water in the ratio 1:1 and spay on your body and your pet’s body. An undiluted version of essential oil may be used for spraying on areas that are severely infected with fleas. 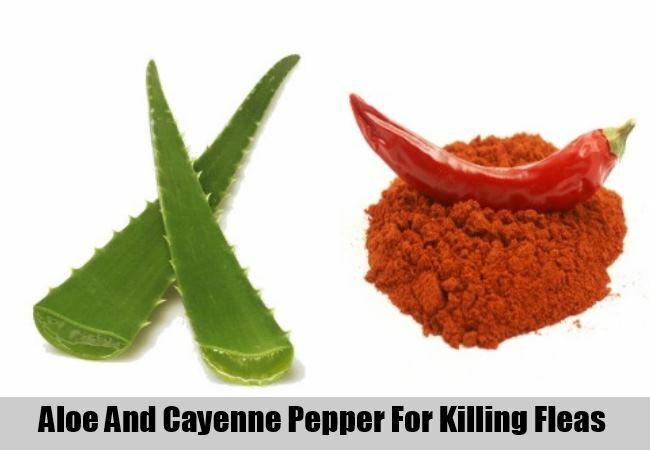 Aloe juice and cayenne pepper acts as an excellent irritant to repel the fleas and stop its multiplication in your household. Take aloe juice and add one teaspoon of cayenne pepper. Spray in areas of flea infestation. Aloe gel can be applied on the fur of your pet and also on your body to soothe and heal skin that is affected by fleas and also to stop the itching. Aloe helps in preventing infections and also protects the skin from further infestation. Aloe gel or juice can me mixed with an essential oil of your choice and used as a cream for application on the body and on your pet’s body to repel the fleas as well as heal the wounds. Add a pinch of cayenne pepper to the gel while you apply on the pet’s fur. This will help in keeping the fleas away from its fur. This entry was posted in Featured, Home Remedies.